Rosemary brings a fresh innovative approach to integrating interior design and the latest technologies for a healthy, empowered lifestyle. Her lively presentations give people the tips and tools they need to transform ordinary dwellings into safer, more comfortable living environments. Participants will learn about inspiring and practical solutions to everyday challenges that enhance independence and well-being. Rosemary will also share research highlights essential for a healthy and happy longevity, and how to design living spaces to live a fuller, more meaningful life. 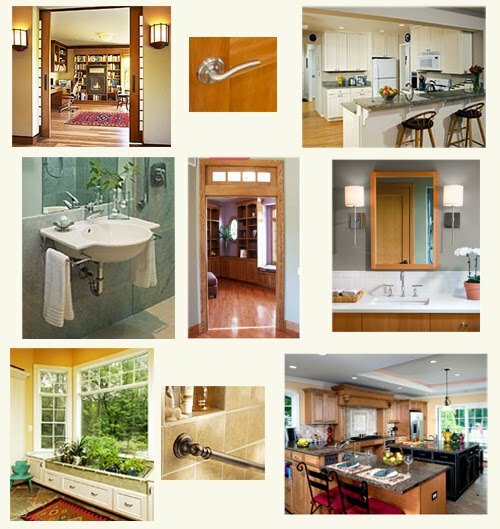 Below are select photos from her book, AARP Guide to Revitaling Your Home: Beautiful Living for the Second Half of Life. Keynote speeches, lectures, workshops, and lunchtime presentations can be customized to fit the needs of the audience, including healthcare providers, human resources, design professionals, boomers, and family caregivers. A dynamic speaker, she has presented to diverse audiences, including the 50 plus, health care and aging service professionals, interior designers, housing experts, Fortune 500 corporations, Centers for Disease Control, MOMA, the Alzheimer's Association, and the United Nations. Rosemary was a guest on Martha Stewart Living Radio and was featured in the Public Lives column of The New York Times and in AARP The Magazine. See complete list below. “The best environmental presentation I have ever seen."